As I reflect on my first year of college I realize that it was full of new experiences and is one of many milestones that will affect the rest of my life. It’s more than receiving a degree and getting a job— it’s where I discover myself as well as make lifelong friendships. On the other hand, I look around me, and see that not all my friends’ journeys have been quite the same. Some may have begun their journey in college and learned later that college wasn’t for them, and at least they attempted. Some knew before even graduating high school that college was something they’d never attempt. 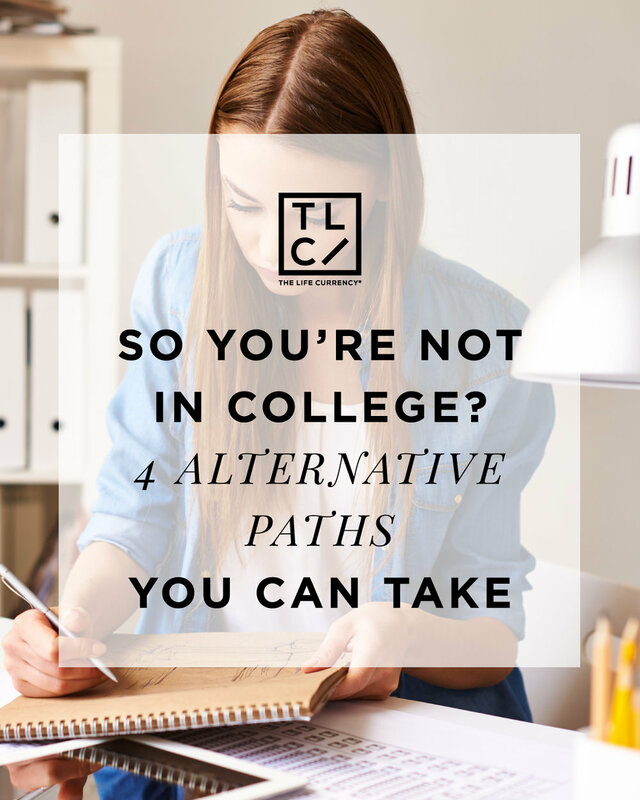 If that sounds like you and you’re contemplating what exactly you should be doing with your life as your friends are beginning the next chapter of their lives within an institution and you’re not, then this is the article for you. Maybe your purpose in life was to be found outside the classroom, and not in a book. How about starting a business? Maybe you're selling goods of your own, wholesaling, or even offering a service. Either way your profits will be large, if done correctly. Some of the world's richest people have never attended college, dropped out midway, or even went back to receive their degree once they were successful. Let’s take Bill Gates, for example. After attending Harvard University for two years, Gates dropped out and later founded Microsoft with childhood friend Paul Allen. This rate of “luck” afforded Gates with the net worth of $85 billion dollars. Now I’m not saying that you’ll become a billionaire but you can live a lavish life just as great as anyone with a degree. Your determination and perseverance is what will push you forward. If you’re not creative and think starting your own business is too much work, try trade school. Trade school will give you skills in your desired trade. Some examples are HVAC Professional, Diesel mechanic, Welder, etc. To excel at a career with any of these titles, you need thorough training in the classroom as well as hands-on experience in the field. Trade school will also assist students with job training. Cosmetology and nail technician school are now some of today’s hottest commodities. Let’s not forget that these trades are some of the few that can be done anywhere, and will always be in demand. Some may view the military as nothing but frontline, war, and infantry. While that is the case for some, it’s not the entire military. The military will not only pay for your education if it meets their needs but they will guarantee you a job. Sometimes it may or may not be in the field you desired, however you will have a guaranteed income, a place to stay for not only yourself but your family, benefits, and of course skill and job training. The military will offer you financial stability and confidence and let’s not forget to mention, you are serving your country. So, you're still lost, and refuse to just sit around the house as your parents continue to nag you about not doing anything with your life. Well who says getting a job anywhere is a waste of time? It can be at your local fast food chain, mall, etc. At the very least, you have your own source of income, and this gives you optimal time to figure out what you would like to do, even if this means picking up multiple jobs at once to meet your goals. At least you’re not at a standstill, and there’s some form of progression at work. Just always remember Rome wasn’t built in a day.